Your garage door is your largest, most used doorway on your home. It is important you choose one that is durable and will last for years to come! 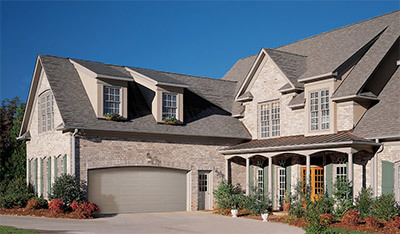 Feldco has you covered with our premium garage doors. From a variety of colors and decorative glass options to varying levels of insulation, we have exactly what you are looking for in a garage door. The only way you will reap the benefits of your new garage door is with a great installation team. Starting with removing the old door and showing how to work your garage door when its all done, to working with a wide variety of garage door openers, Feldco’s installation team is the most efficient in Green Bay. The weather in Green Bay can vary greatly. Wisconsin is a state that truly experiences all four seasons. This is why is is important to choose a company that specializes in garage doors and their installation. Our garage doors are heavily insulated, wind resistant and built with Green Bay’s weather conditions top of mind. They will keep your home safe from the elements and look great in the process. 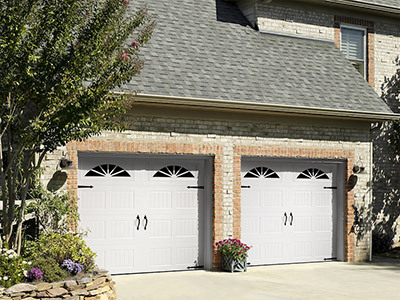 Garage doors come in different styles that will transform your home in their own way. There is the standard style and more unique carriage style, both of which will improve the curb appeal of your home and last through many harsh Green Bay winters. When it comes to standard garage doors, heavy gauge steel design resulting in a door that is energy efficient and extremely durable. There are a variety of panel and glass options allowing great customization for the perfect garage door. 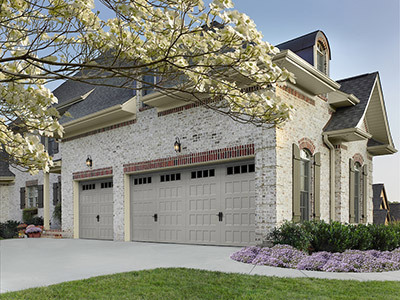 Carriage style garage doors have the best of both worlds – the aesthetic and stylized look of wood mixed with the durability and energy efficiency of steel. With all of the panel styles available, you can create a more dynamic and awe-inspiring garage door. If your garage door is attached to your home, it can be used to help improve your energy efficiency. A well insulated garage will prevent heat or air from escaping and protect your home from the outside weather – this is helpful with Green Bay’s frequent temperature shifts. Your heating and cooling systems won’t have to work as hard in order to reach your desired temperature, saving you money. Even if your garage isn’t attached to your home, it is important for your garage door to be well insulated to protect your vehicles or anything else you are storing. Feldco makes replacing your garage doors easier than ever before. Our Product Specialists will help determine which style would best suit you and your home while the installers efficiently install your garage door. We’ll make sure you are thrilled with your purchase for years to come.